If you haven't taken the time to take an inventory of your fall garden containers, then now is the time to do so. Do the flowers look spent, or the veggies given up and the grasses no fared well in the winter wind gusts? Then it's time to transition them into winter items that will hold up to the cold and harsh weather that is coming. 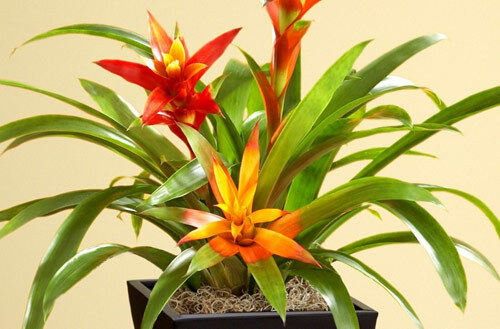 The first thing you need to do is toss all the plants and replace the potting soil. Now is not the time to try to salvage anything. 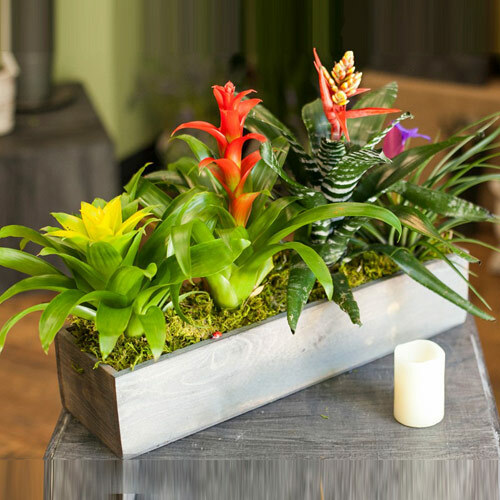 Pick new plant materials that can with stand the harsh conditions coming in the colors and textures that will easily mix up and create a beautiful arrangement. 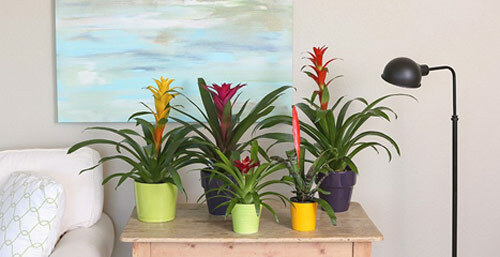 Add color with painted sticks, berry branches or colorful shades of greens and yellows. Fill your winter containers with Birch Branches. They look lovely when clustered together and add a depth of texture to a garden container that is lovely for many months. Ever seen colored branches like dogwood? They come in red to yellow and you can find other textured branches like reeds or thin sticks that come in brown and can be woven and displayed beautifully. 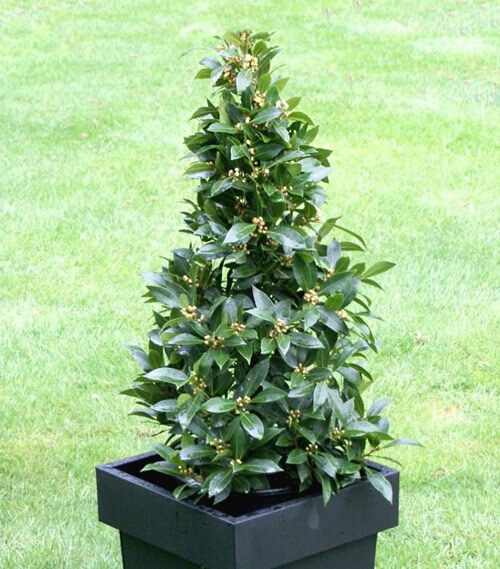 When it comes to plants try evergreens like boxwood that can be made into topiary. 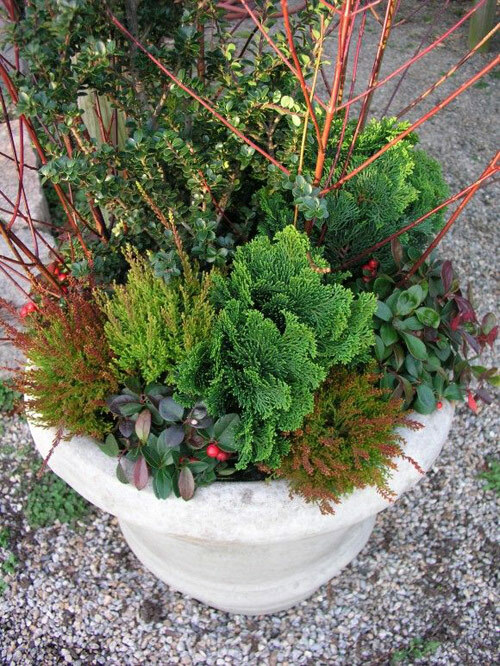 Conifers of all sorts will work wonderfully. 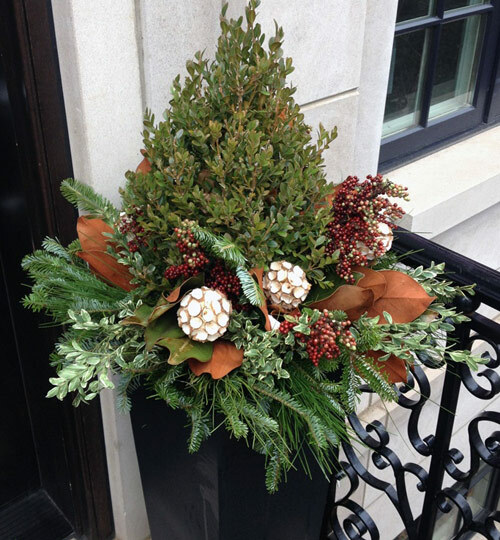 Any kind of greenery that can handle the cold will be stunning covered in a light snowfall. 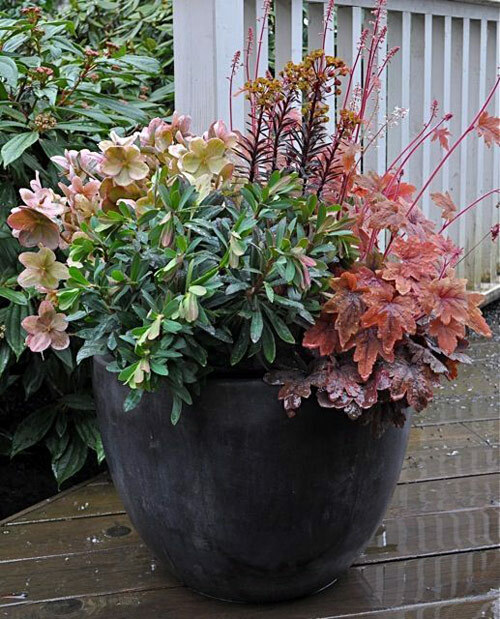 Berried branches like winterberry and dried seed pots add an artistic touch that really upgrades any garden container. 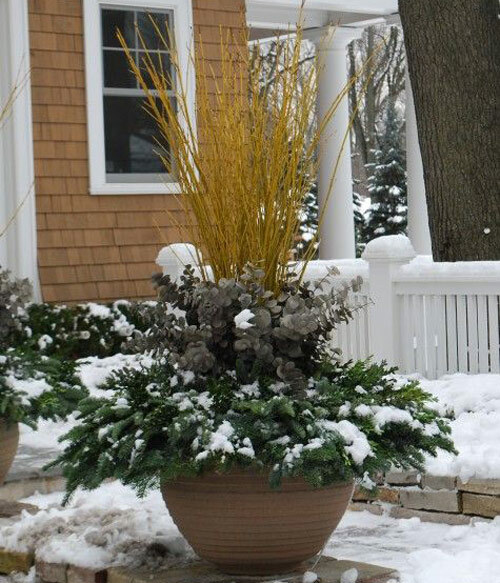 Ornamental grasses add height to the center of a planter and trailing ivy flows over the pots sides, draping the planter in color. Don't wait till it's too cold to transition your planters. Now is the time to make the most of the remaining weather. 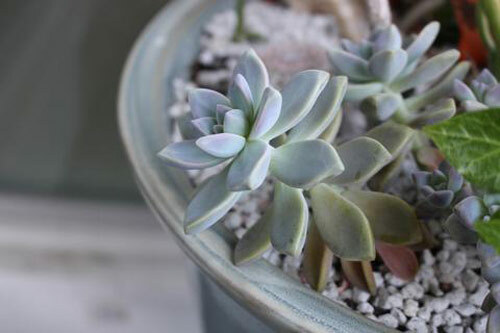 Have you ever tried to propagate a plant? How about a succulent? Everyone knows that it's easy to propagate a plant during summer. All you have to do is stick a leaf cutting in dirt and walk away. 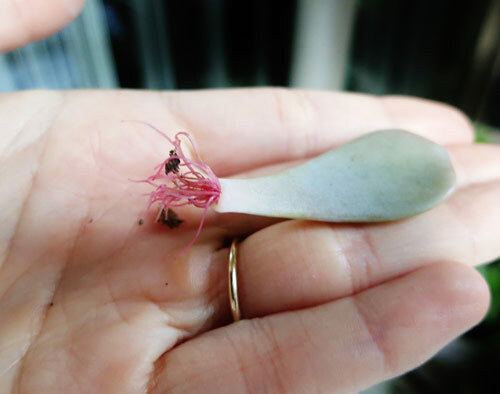 When it comes to succulents in many cases just a dropped leaf will root themselves in dirt without any help from you. After a few weeks they leaves will start to put out new growth and the roots become fuller. 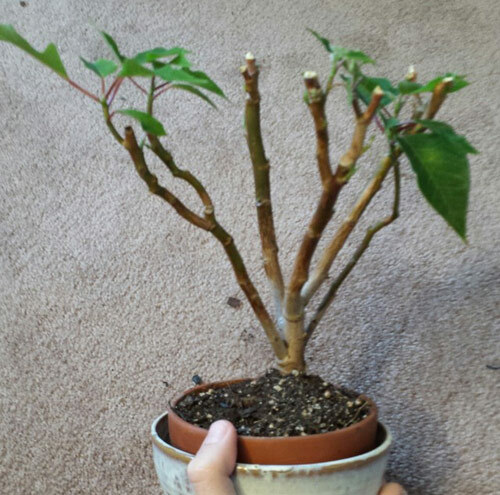 These cuttings didn't get any special care. If for some reason you want them to root faster, try dipping the cut end into rooting hormone before putting it by the window. 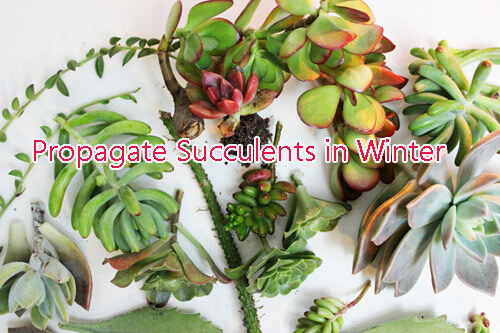 Finally when it comes to taking cuttings from succulents it's really esy. Carefully break or cut off a piece of the leaf or stem and there you go. 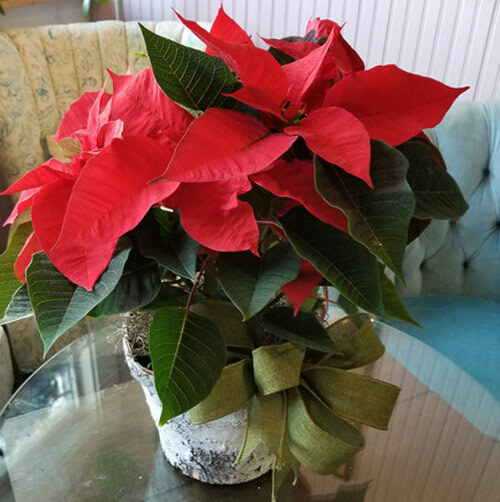 During the festive holiday season many will purchase potted poinsettias from there local garden center or nursery as a holiday decoration. 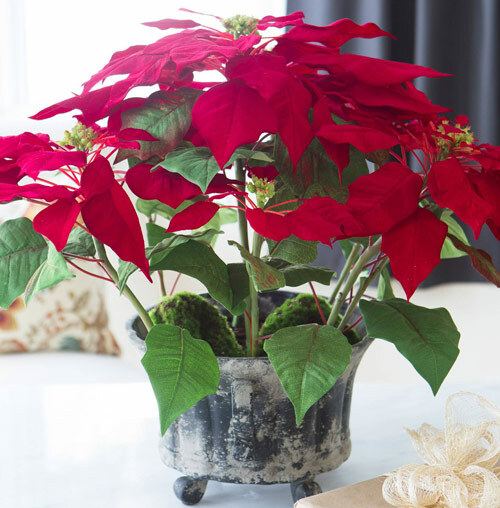 If you host a festivity at your house you may receive the potted poinsettia as a hostess gift. 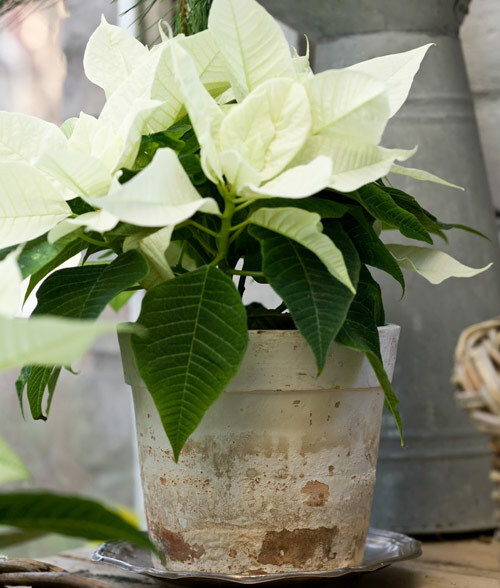 Either way we want to provide some tips that may help you to make that plant rebloom next Christmas. 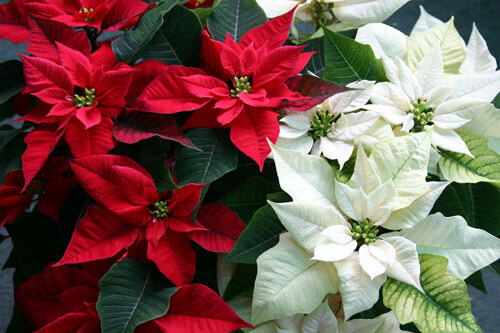 Basically, Poinsettias are easy to grow and maintain. However if you want them to bloom into a second season it will take some effort but is not impossible. 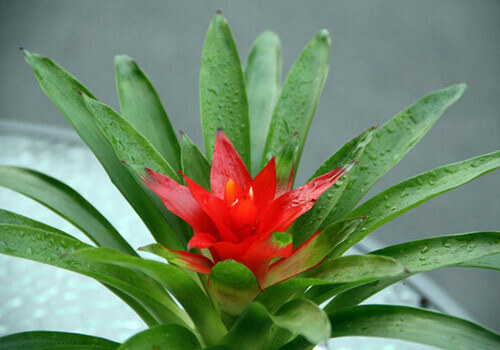 Start by thinking them of a basic houseplant instead of a Christmas only plant. Start by placing the garden planter in a area with bright light, water slightly and feed with fertilizer according to the label directions. Unfortunately the leave or flower petals will fade and fall off. At this point cut the stems to just below the flowers and let them continue to grow. Come next Spring, when the temps are consistently about 50 degrees. 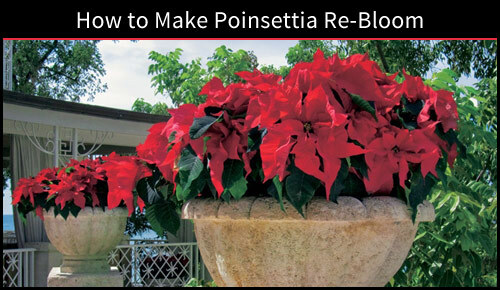 place the potted poinsettias outside where they can get bright sunlight. They will grow but will remain green all summer long. 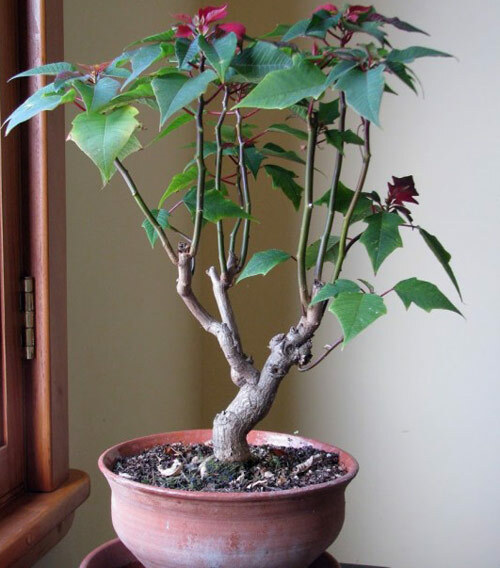 Prune back the plants to one third in midsummer and repot them in a slightly larger pot. Use new potting soil and feed with fertilizer during this growing time. At the end of summer, bring the pots indoors when temps start dropping below that 50 degree mark. From Sept thru Oct the plants need 15 hrs a day of uninterrupted darkness and 65 degree temps. This is the secret to triggering new flowers and for the leaves to change color. Every day at 5 pm you need to cover the plants. Uncover them at 8 in the morning. Absolutely no light can penetrate the darkness. Place a box over them if you must. In a spare room no light can come in thru a door or window crack. If you successfully carry out this darkness routine by early November the plant will develop the red color and you can end the daily darkness and move the plant into indirect light to grow. 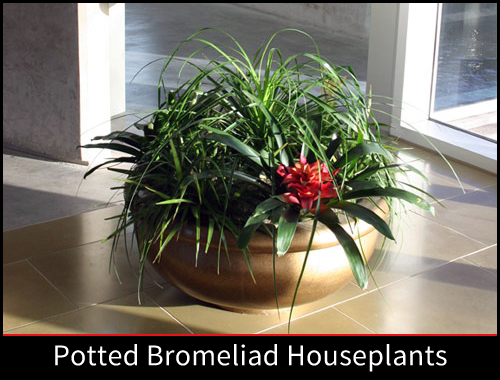 There are all kinds of plant materials that can be potted and placed on your porch or patio areas. 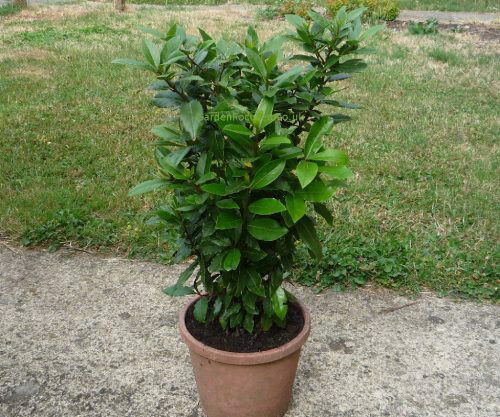 In this post we would like to focus on Bay Leaf or Bay Laurel plants. 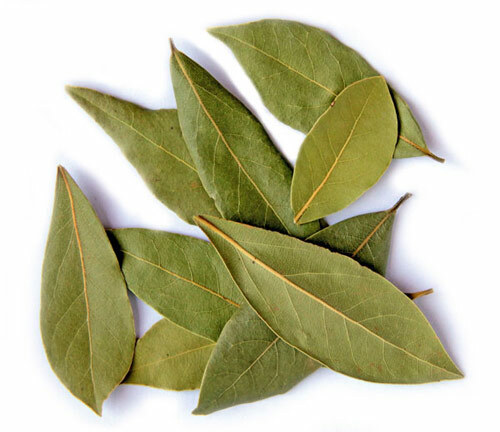 If you have ever followed a receipt for a hearty stew or soup you will see them tell you to add a large bay leaf. It adds a robust flavor and unique seasoning. So lets' talk about the basics of potting the plant up and growing these beautiful leaves. 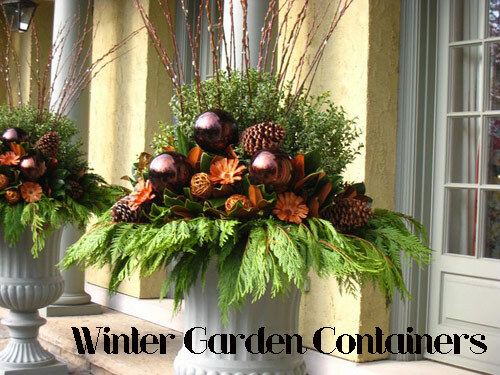 Start by selecting a large garden container. Even thought it's a slow growing plant it can reach heights of 59 feet if all conditions are right. Of course a container potted plant will not get this high but keep it pruned to around 6 feet tall. Not only will it be more appealing but you can move the pot into the garage or shed when the weather gets colder. Make sure the planter has a drain hole. 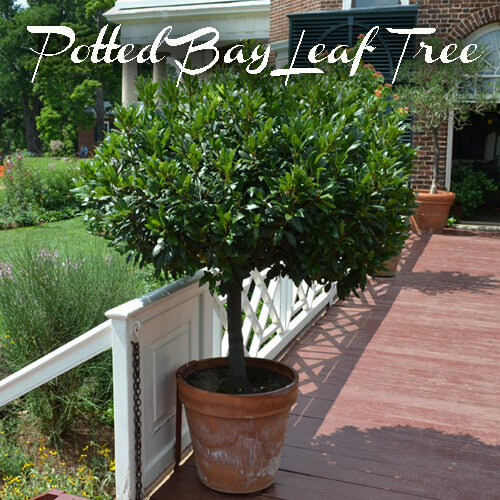 Bay leaf plants are tolerant to most soil types but they will not tolerate soil that doesn't drain well. The plant grows best in full sun to partial shade so place the selected pot where you want it before you pot the plant. 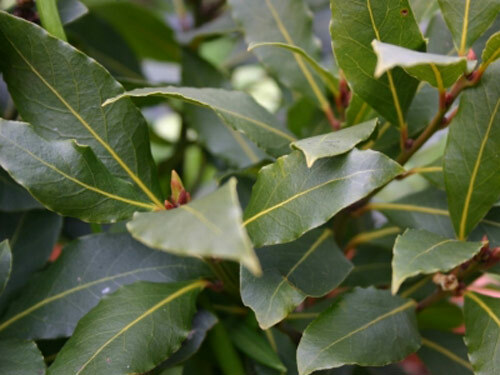 Bay leaf plants have small yellow flowers in spring which turn into berries in the fall. They are lush with leaves a green green with a yellow vein. 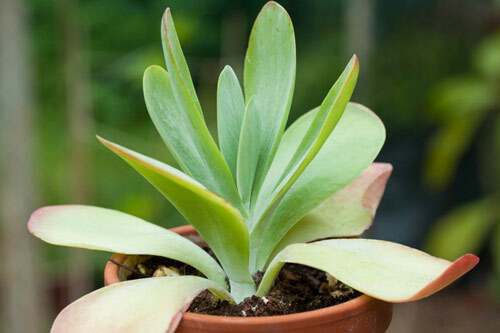 Flat broad leaves help to fill in the planter so you will have a great addition to your landscape or patio area. There are many uses for bay leaves, hole, or crushed like poultices and aromatherapy. You can look them up online. They can even be used in wreaths and head crowns for athletes and rules of the past. This time of year you are not thinking of planting and growing a garden full of vegetables. 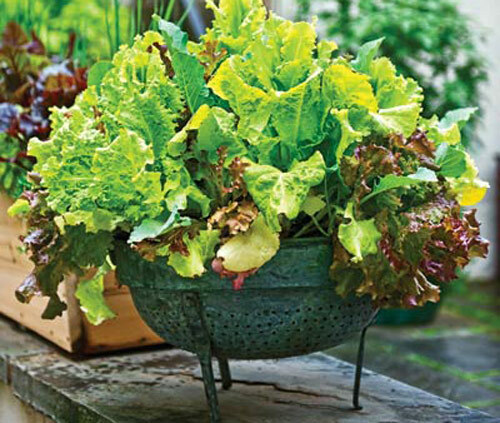 But just because the cooler weather is coming doesn't mean you can't grow a salad full of fresh lettuce in a garden pot indoors. 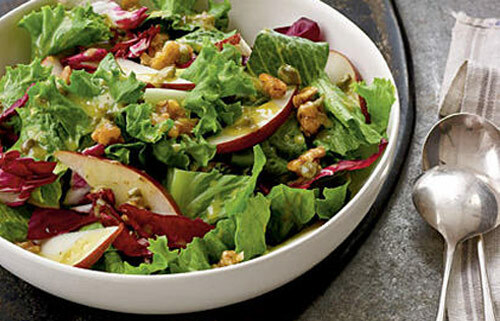 Who doesn't like fresh lettuce year round. Well growing your own in a flowerpot indoors is so easy. 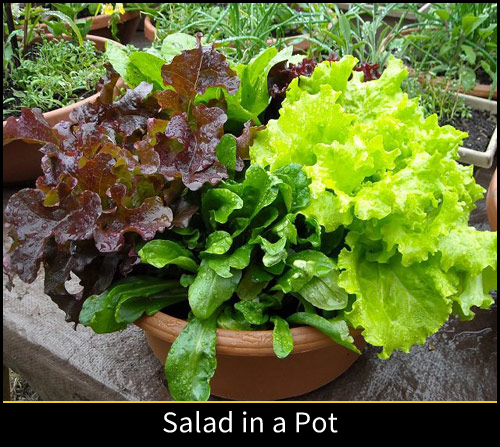 Start by selecting the correct garden pot to grow in. 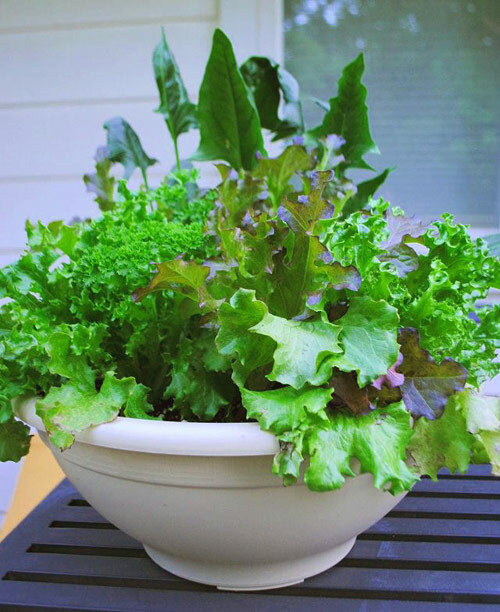 We suggest a garden bowl. A pot that is wider than higher. It can be round or rectangle that doesn't matter. What matters is the depth of the planter. Try to keep it 6" deep or so. What you are growing has short roots and doesn't need a need flowerpot full of potting soil. Next let's talk soil. Use a new good quality potting mix that is loose and drains well. Never use old potting soil from a garden plant. Old soil can have bacteria, bugs and worse living in it and it is never recommended. Remember that your potting soil doesn't have fertilizer so add your own when planting. Choosing salad types. Of course your main focus is lettuce. There are many types to choose from. Romaine, Looseleaf, butterhead, spinach, swiss chard and more. If you want to grow complimentary items you can just use a separate container. You can grow herbs, onions, chives, basil. You can choose to start from seed packets or purchase young plants at the local garden center. Keep your pots in a sunny spot that receives a few hours of direct sunlight during the day. Keep the soil slightly moist but not wet. Just check to see how much water you will need. It is not necessary to water ever day. 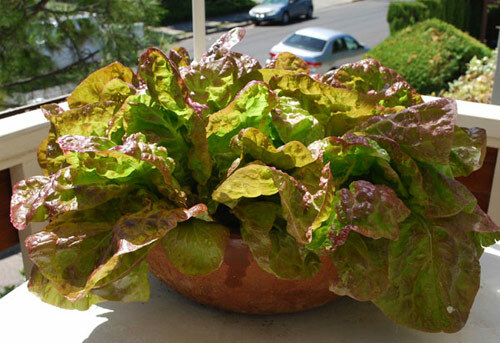 In 30 days you can start to harvest the potted lettuce. 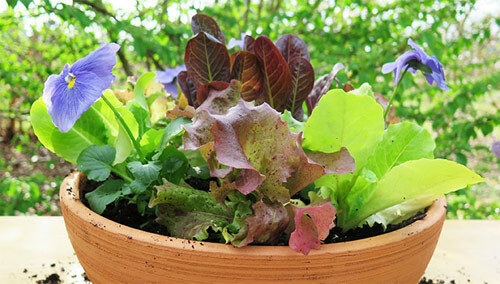 Pick leaves when you need them letting the lettuce plants rest and regrow as necessary. No rules to follow just go with your instincts. This is a easy project and should be a fun one for you to try.